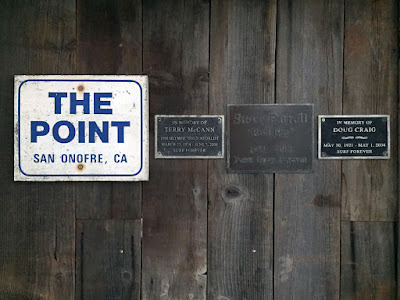 Before The Point wind vane came crashing down, it was gently lowered and the sign was salvaged along with the metal plaques that were bolted to the cement base. These 3 plaques were tributes to Terry McCann, Steve Farrell, and Doug Craig. Thank you Don Craig (Old Guys Rule) for donating them to SHACC! The wind vane itself was also saved and donated by Lonnie Argabright, we're trying to figure out how to attach it to our roof.